The two spacious rooms have luxurious king size beds, ensuite baths with soaker tub and shower, TV/DVD, fireplace, mini-fridge, wireless internet, and private entrances. 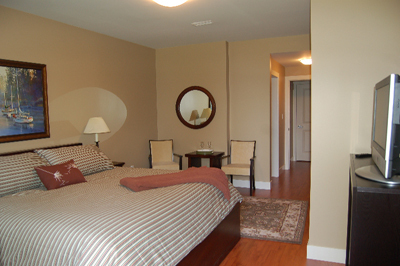 Rates for both the Louella and Penelope rooms are $200 CAD per night double occupancy. This includes a full breakfast. ($160 CAD with no breakfast) A two night minimum stay is required. Ensuite bathrooms with soaker tubs and showers. Breakfasts feature local produce, farm fresh eggs, home baking, seasonal fresh fruits and preserves, and locally roasted organic fair trade coffee. 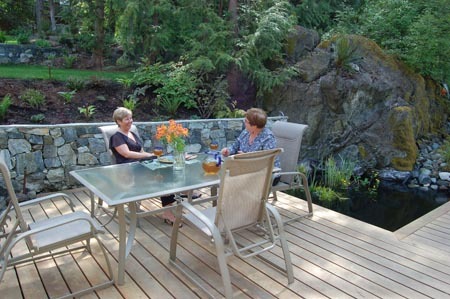 Enjoy your breakfast in our dining room overlooking Brentwood Bay or pond side while listening to the birds in our back garden. Should you prefer we will deliver a continental breakfast to your room. Please advise in advance of any special dietary requests. 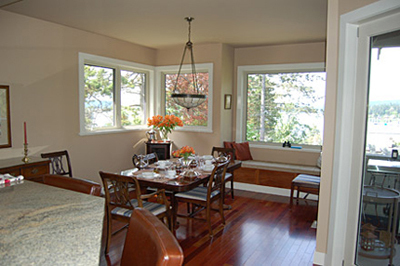 One guest wrote about Brentwood Lighthouse Bed and Breakfast on TripAdvisor "As to the breakfasts, Nancy made kind efforts to meet my unique dietary needs where possible and the meals were delicious." 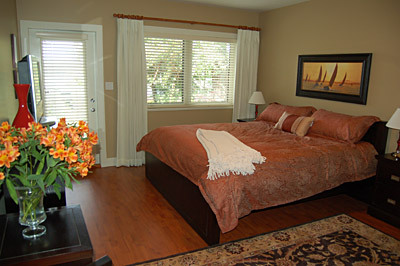 We look forward to welcoming you to our accommodations here in the Victoria area.